A sneak peek into the Opera Art Project designs for the up coming season of the Edmonton Opera. As I have mentioned in previous blogs I have the pleasure of designing with a group of amazing local Artists in the Opera Art Project. 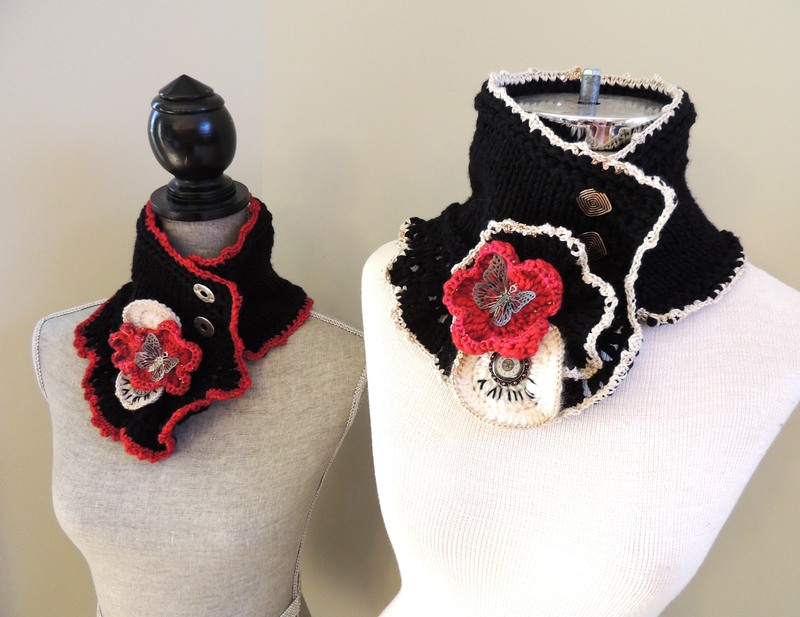 These two collar style scarves are one of a kind pieces and add a unique touch to your wardrobe. I will go more into the designs and what overall design is symbolic for as well as the embellishments. 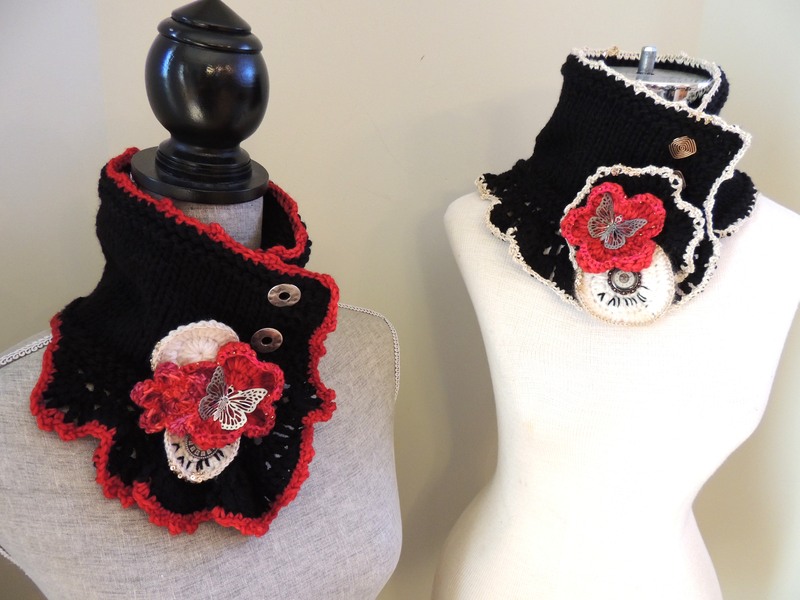 These two designs pertain to all three Opera’s this season in one way or another. The gold bling silk yarn, by www.artyarns.com is for the 50th Anniversary of the Edmonton Opera. I will talk more in detail about these designs and the corresponding hand warmers when I finish them. Just thought I would tease you with what I have been working on lately. Stay tuned for more Opera Art designs…..hint these are based on the 3 Opera’s Madama Butterfly, Salome, and Die Fledermaus.